Central Texas' biggest monthly gathering of auto enthusiasts has found a new home at Circuit of The Americas. 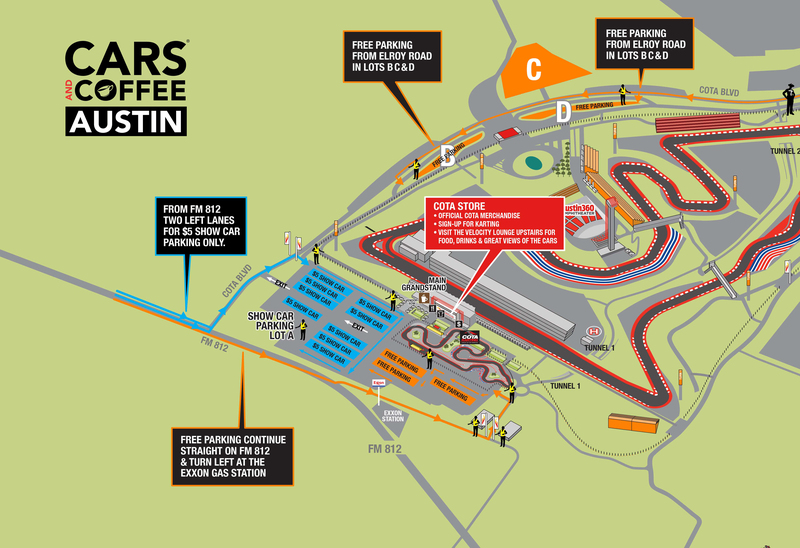 Beginning Sunday, May 20, CARS & COFFEE AUSTIN will take over COTA's Lot A for a monthly car show for the entire family. 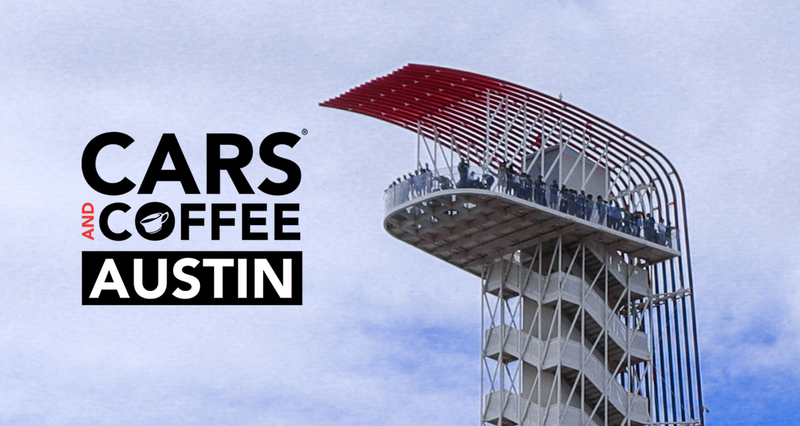 All profits will be donated to a different Austin area charity each month, and the inaugural Cars & Coffee at COTA will benefit the Central Texas Food Bank. Admission to Cars & Coffee is free. Free parking is available in the orange non-show sections of Lot A with additional spaces available in B, C and D.
Should you wish to display your vehicle as part of the show, there is a $5 per-vehicle donation (credit card only) to park in the blue show sections of Lot A. Coffee and concessions are available for purchase in the Main Grandstand and Velocity Lounge. COTA Karting open for C&C guests beginning from 7:30AM to Noon. Walk ups only. Interested in vendor opportunities at Cars & Coffee? Contact us via email.